Blog — Remote Intelligence, LLC. 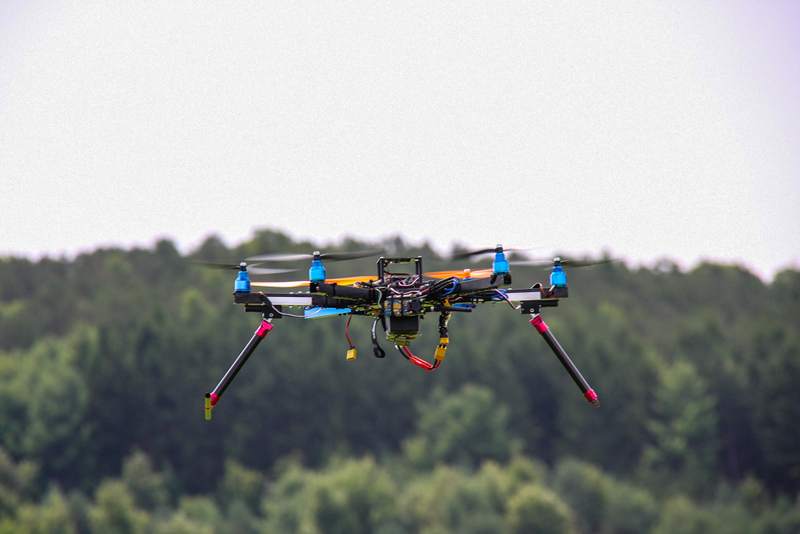 Recently Remote Intelligence took possession of our newest Hexacopter from Prioria Robotics. This is a serious workhorse with incredible flexibility when it comes to payloads and projects. We have already been able to get mapping missions coming in with greater than 1cm resolution on ground! Search and Rescue is just one of the sectors that benefit from using Unmanned Aerial Systems, this video demonstrates some of the flexibility of the thermal units that can be rapidly deployed from almost anywhere. Just as in our everyday lives, companies live in the realm of relationships. We are always thankful when one of those relationships gets to take the form of partnering with higher education institutions to use this exciting technology to train up the next generation of workers. Cederville University in Ohio has become one such partnership that we've thoroughly enjoyed building into. 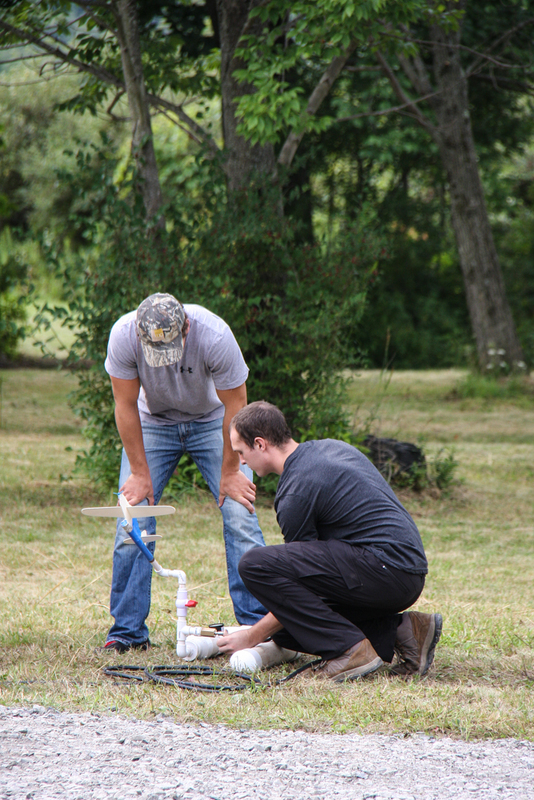 Recently one of our partners packed up our UAS's and helped out some of the geology and geoscience students with their senior projects. Click HERE to read the story courtesy of Xenia Gazette. One of our key values is education and we look forward to using the tools and knowledge we've gained to propel the industry forward. 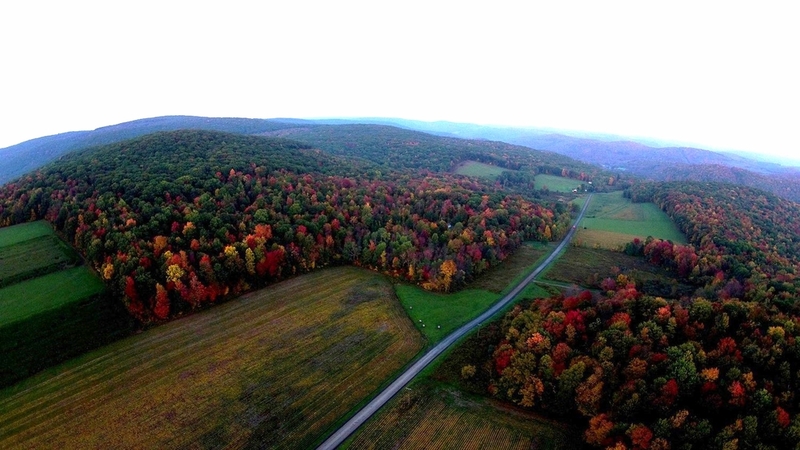 With the beauty of North Central Pennsylvania on full display, Fall is a great season to be in the air. The northern hardwoods (Oaks, Maples, and various other deciduous species) put on a beautiful symphony of color throughout the "Endless Mountain Region". Here are a few of our favorite shots, and some samples of mosaic property mapping done during this near perfect season. Please contact us if you have interest in high quality aerial photos, video or mapping during this season. As the industry continues to develop for the use of UAS's on US soil we find it critical to seek out strategic opportunities to share this exciting new technology with corporations and individuals. The Shale Insight 2014 Conference, just wrapped up and we had the pleasure of co-operating a booth with one of our favorite companies Wildlife Specialists. 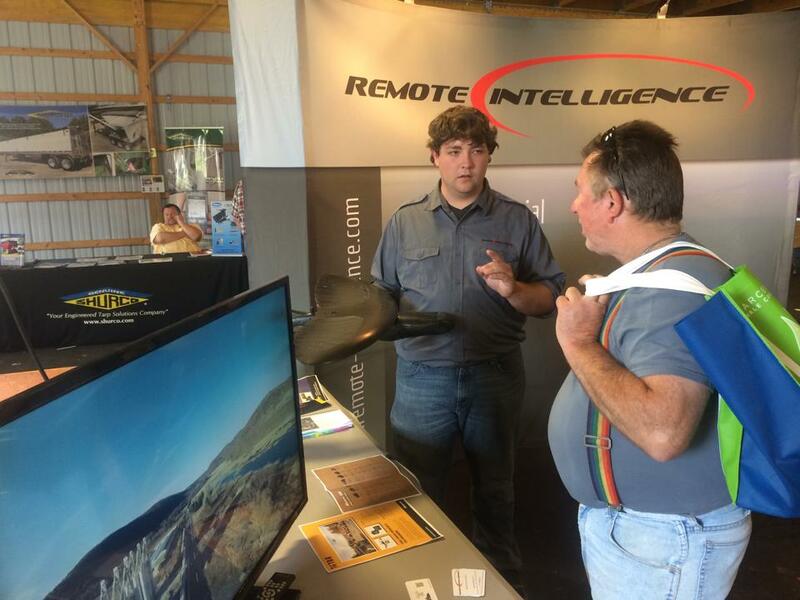 It was a great opportunity to meet with leaders in the industry and introduce the use of highly efficient, quickly deployable, extremely precise UAS's for up to date mapping and site services. The team did a great job of educating, inspiring, and making excellent new contacts with many of the key people in this exciting industry. As tech sweeps through every aspect of our lives farmers have become one of the biggest users of state of the art advances in monitoring crops and land conditions. 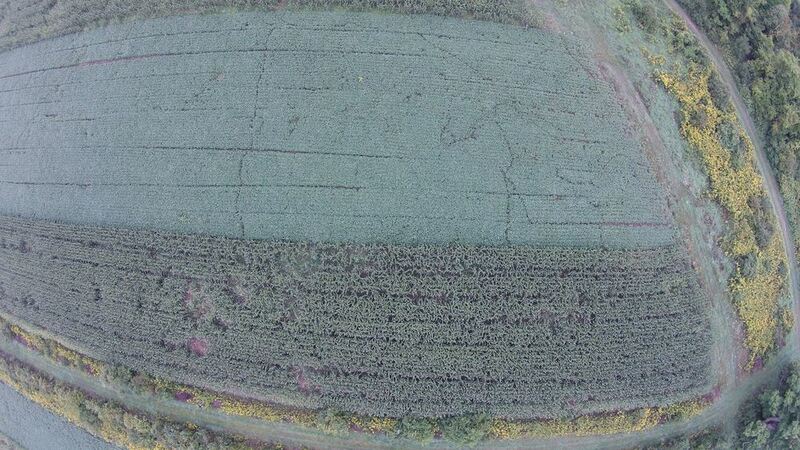 A big piece of that process is utilizing Unmanned Aerial Systems to get instant eyes on large tracts of land. Whether tracking animal damage and travel paths, watching crop yield, or just simply getting a true measure of their topography, this technology can give an unprecedented overview of what is happening on the land they own or manage. 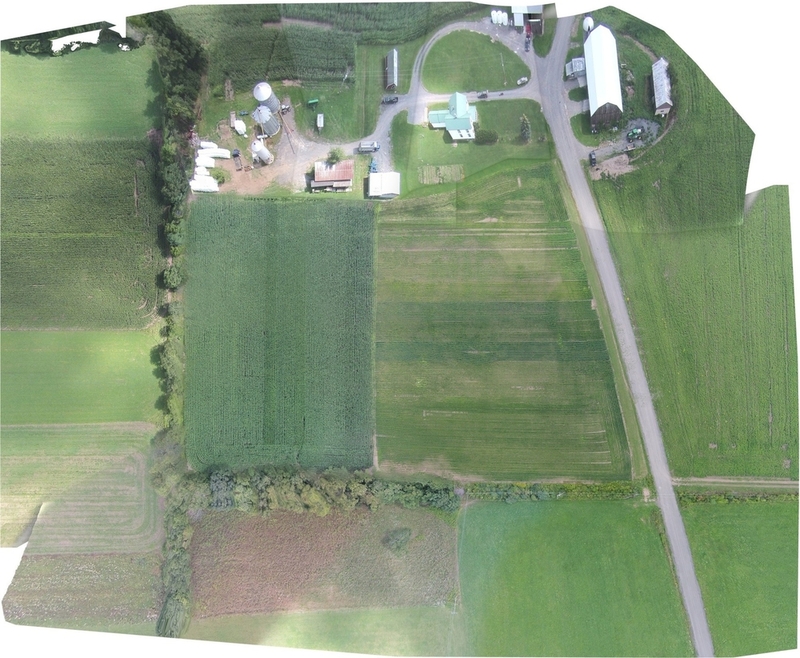 Precision Agriculture mosaic of a farm in North-Central Pennsylvania. This is a high-resolution composite image made up from more than 100 high resolution photos. It is not only very precise but also can generate a 3D map showing topography and even building detail. One of the great new applications we've found for our systems and the software we use is 3D model terrain generation. One of the largest markets for the use of this type of technology is something that millions of people do each day... play GOLF. We are now able to offer golf course owners and managers the ability to have a three dimensional interactive course flyover, so that interested clients can tour the facility, see the elevation changes, even map out the hazards before they ever set foot in the clubhouse. Here's a little sample of a high elevation flyover from Tyoga Country Club (in Wellsboro, PA). Enjoy! If you as a golf course or country club owner are interested in this service please contact us for package and cost information. It was our pleasure to invite the community in last Saturday, August 16th for a presentation of some of the systems and services that Remote Intelligence can offer. 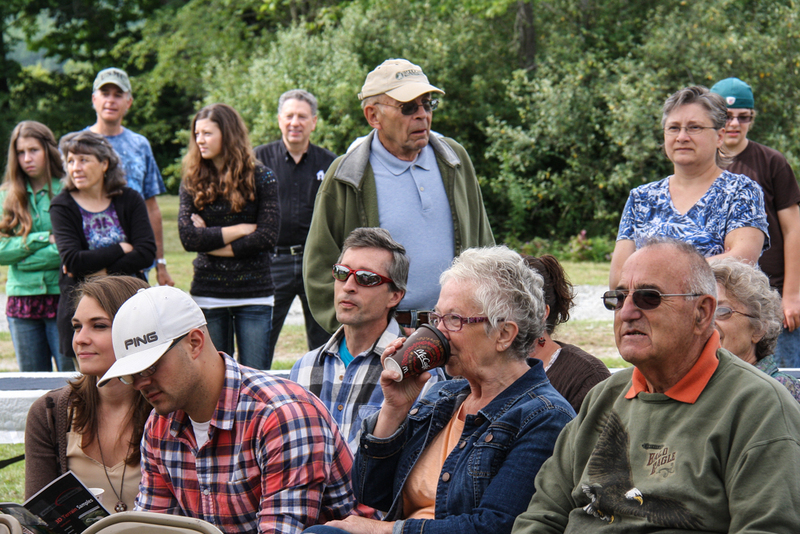 We entertained a great showing of our clients, neighbors, family and friends! Adults enjoyed some light refreshment and system demos, as well as a bit of an education (one of our chief values) as we talked about the use and integration of UAS's in our lifetime. The kids made their own air powered rockets and colored gliders so they too could reach for the clouds. We loaded everyone out and took them to our demo fields for a chance to see the Maveric system in action as well as a couple other little projects we've been working on. The Wellsboro Homepage was there to cover all the action and featured us on Tuesday as their headline article. Below is their video! Thanks for all who came out to celebrate, learn and dream with us! Thanks to wellsborohomepage.com for their support, to read the whole article and to see what else is going on around the region click here. 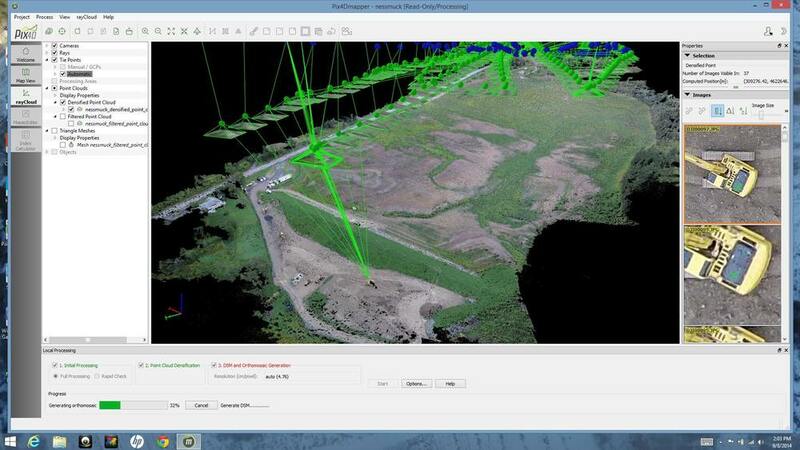 This is an example of a 3D model created using our Maveric System of a valley near our offices. These models are precise and very interactive. They give the client an accurate, timely and incredibly detailed model useful in a variety of industries. The color coding indicates the elevation of the terrain. It's been exciting working with our professional grade systems to produce real mapping products. These screenshots were generated from a 20 minute flight of our Maveric system, and analyzed with Pix4d. They can be rotated around to view from any perspective. From this we will be generating topographic contours. All based on current photography. 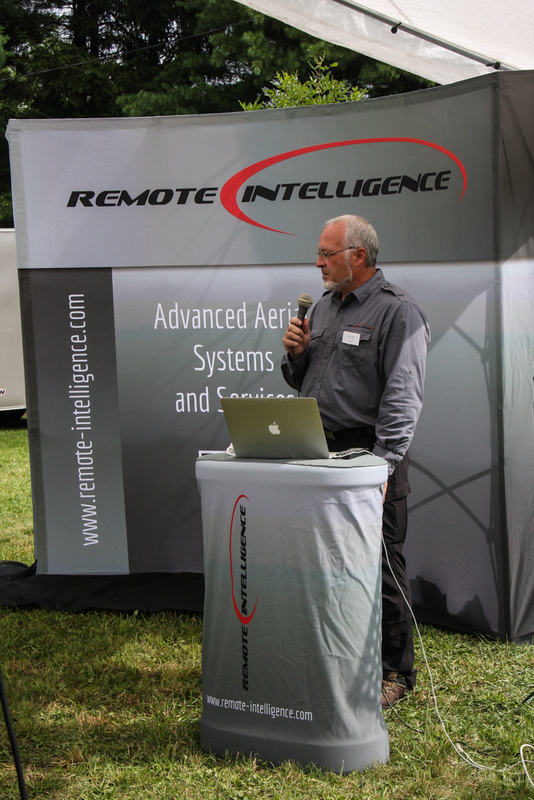 Remote Intelligence = Advanced Aerial Systems. The blue and green dots represent the actual location and orientation of the Maveric during this flight. Interested in what we've been working on? 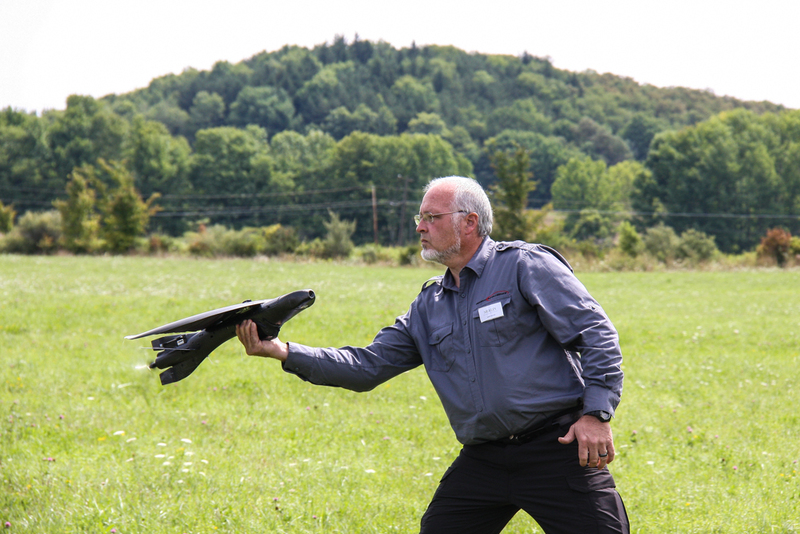 Curious about UAS's? Then you should come join us on August 16th, 2014 at our new location (953 Lake Road, Wellsboro, PA 16901) for our first annual OPEN HOUSE! As a company we strive to not only test and use these advanced aerial systems but also to educate and encourage open dialogue on the topic. If you're interested or need some directions please give us a heads up. How did you hear about Remote Intelligence? With the addition of our premier systems like the Maveric, we are now providing professional services such as these Pipeline samples. We are continually testing the limits of this real world, professional quality, usable data reports and mapping. We look forward to bringing this technology to a host of clients in the near future. 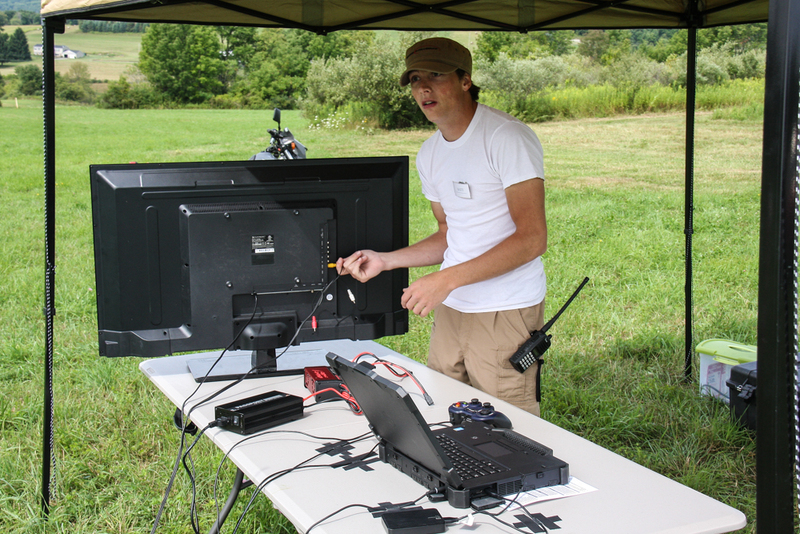 We had the pleasure Monday of presenting some of the vast possibilities of UAS's to Pennsylvania's Department of Conservation of Natural Resources at Tuscarora State Park. In attendance were about 20 professionals dealing with several specialties including Wildfire Management, GIS Mapping and Pest Management. 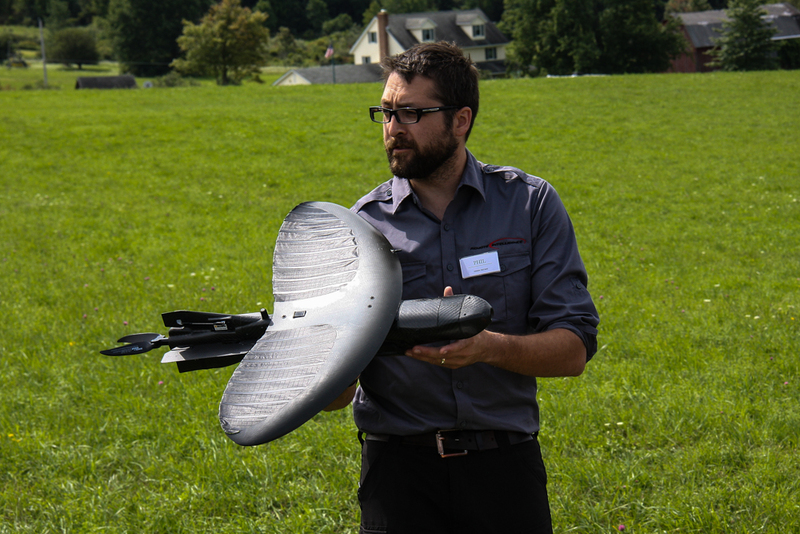 The dependability and reliability of these systems was demonstrated as these professionals in their fields got to have their minds opened to all the uses of UAS's in the forestland management category. We look forward to continuing to work with PA DCNR as exciting developments happen. With the addition of our Pix4D capabilities we are expanding our ability to make extremely high resolution, precise maps that are accurate within inches. With our in house GIS specialist we can make the maps you need, quickly and very accurately. Since we're down in Florida for advanced training on our Maveric system, we figured we might as well have some fun! 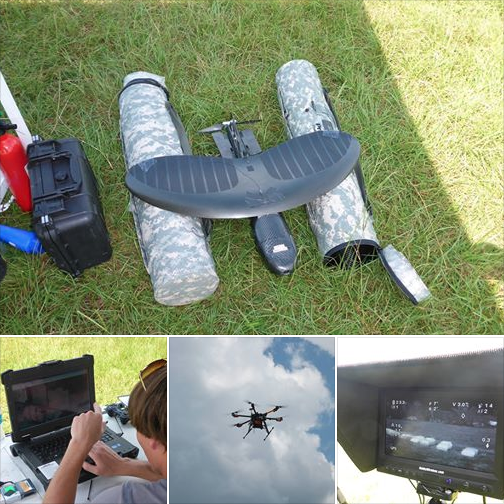 A couple of our guys headed over to the Masters of All Terrain Off-road Marathon, to give them some aerial footage of the race... here's a bit of what we captured. Excitement is palpable around the RI offices as two of our staff headed down to Prioria to be trained on our new Maveric system. This top of the line fixed wing UAV packs quite the punch when it comes to hi-resolution cameras, Pix4D mapping software, infrared cameras and a whole lot more. These systems are something we're excited to bring to the market as a huge asset in a variety of industries. We'll keep you posted as things develop and as always if your interested in knowing more just click over on the Contact Us link. We are now offering Unmanned Aerial Photographic services for the Real Estate and other sectors.